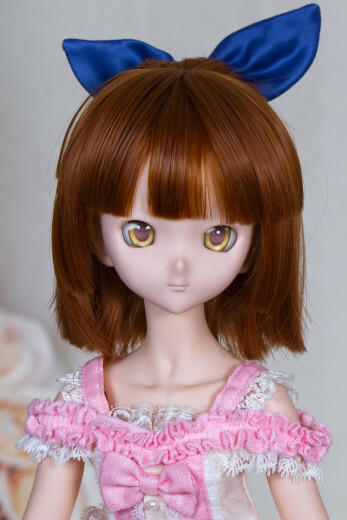 The proportions and size of the head are similar to DDH-01, which makes sense as it’s intended to be an MDD head and DDH-01 is the top choice for that previously. 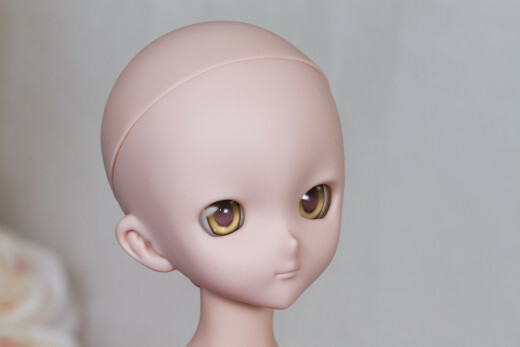 Unlike DDH-01 the eyes are perkier and don’t have a sculpted lid- a lot of modders sanded that off DDH-01 anyway. The mouth is more detailed and has a slightly pursed expression, and cheeks are particularly full. Overall this sculpt has a chubby, youthful appearance. 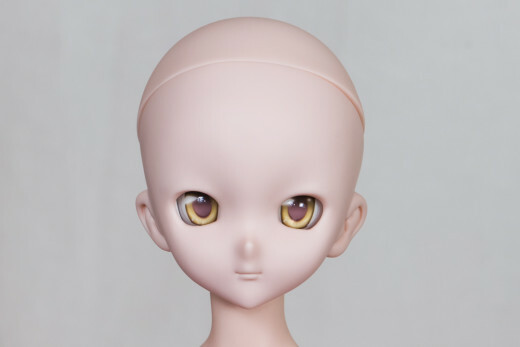 The shape of the eyes, nose and forehead evoke DDH-09, but the mouth and cheeks are more similar to Prisma Illya. 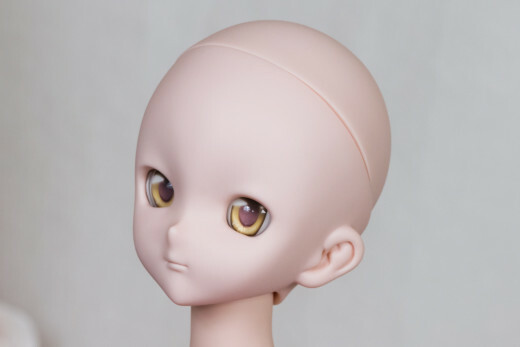 You’ll want smaller eyes for this head, Volks 22mm round-style eyes seemed too big, but the more narrow oval type looks good. Wigs seem to fit as expected. 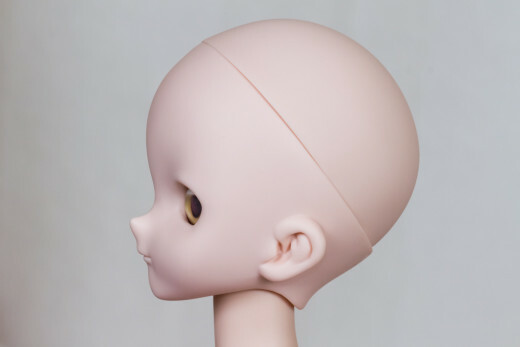 The only surprise so far is that the vinyl color is looking a bit inconsistent – the headcap and head aren’t perfect match, and in flash photos the head vinyl appears slightly redder than my NS MDD3 body. This isn’t noticeable in person but something to keep in mind if you have a chance to pick out your own head from the shop, maybe compare vinyl hues as best you can there.